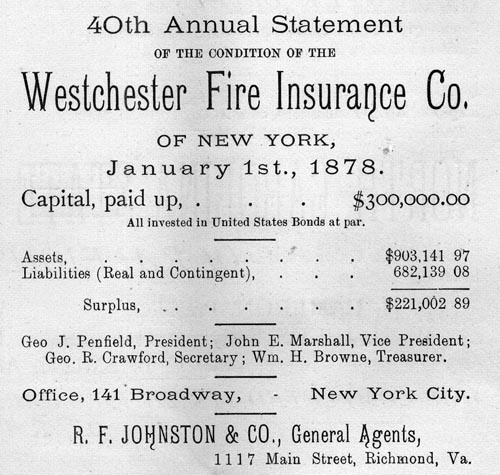 40th Annual Statement of the Condition of the Westchester Fire Insurance Co. of New York, January 1st, 1878. Office, 141 Broadway, New York City. Geo J. Penfield, President; John E. Marshall, Vice President; Geo. R. Crawford, Secretary; Win. H. Browne, Treasurer.